Quick cash in your community! 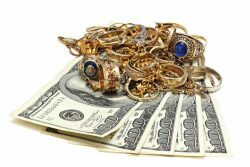 Global Loan Pawn Shop offers buy, sell and pawn services for a broad range of items! From guns and ammo, to electronics, to coins and jewelry, we offer top-dollar for your items and sell only quality products at our storefront. We hope you leave with the item you’re looking for or with cash in-hand from a recent sale or pawn. Visit us today and let us help you! If you’re looking to pick up a quality used item or want to sell something for some fast cash, there’s no need to bid back and forth online for days at a time! Instead, save yourself the frustration and come do business face-to-face at Global Loan Pawn Shop. We’ll give you an honest transaction so you can buy or sell with confidence and walk away with a new item or cold, hard cash! As an experienced pawnbroker in Lenoir City, TN, we have a store that’s full of great items! Not only that, we know how to meet the needs of our clientele—whether you’re stopping in to buy, sell or pawn. We welcome guns and ammo, electronics, coins and bills, jewelry and much, much more. Everything is priced fairly and we give you cash upfront for your items, no waiting. Let us provide you with a refreshingly easy pawn shop experience! We promise you’ll be back again to do business with us. Contrary to our name, Global Loan Pawn Shop is a locally-owned pawn shop in Lenoir City, TN. We take pride in having a local presence that’s rooted in community. Our name comes from the global experience we bring to our customers, including appraisal knowledge, insight about rare and valuable items, and access to a broad inventory of diverse items! You’ll get the opportunities that come from an established brand name, coupled with the down-home service of a local business. We welcome all types of items, specifically guns and ammo, electronics, coins and bills, jewelry, guitars and amps, and various other items of value. Our business is locally-owned and -operated and has been since 2004. We know our local community and take pride in serving it with pawn services and used items for sale. We’re independently-operated and not affiliated with any chain pawn stores. We promise honest service, fair prices and courteous customer service. We aim to always earn and maintain your trust. Our business takes pride in having a strong local presence and focus in our Lenoir City, TN community. In addition to our cash pawn business, we also offer U-Haul rentals. If you’re moving items and need some extra capacity, contact us! Need some quick cash? Looking to unload an item of value? Bring it to Global Loan Pawn Shop and get top dollar for your items! Stop in today or contact us to get a fair cash offer.